I was working as a family day care provider when our first daughter was born. Caring for many different children plus two of my own meant that I had collected a great variety of playthings, so my girls entered our family with a good collection of playthings all ready for them. Of course I had some toys the boys were more attracted to, and some the girls gravitated towards, but there was something for everyone and you could choose what you were interested in, and mix it up if you wanted to. It was cool for boys or girls to take a baby/teddy/dinosaur/alien for a walk/drive/run in the pram/wheelbarrow/truck/baby carrier wearing a tutu/tool belt/helmet/crown at the same time. And they did. I’m not big on stereotypes for girls or boys. Archetypes are more my thing – general ideas of qualities we can all embrace. We talk a lot about faery folk and story archetypes in our family story times and during our seasonal celebrations but I’ve never really given them form. My characters tend to be formless because I don’t know about you .. but I’ve never seen a fairy or a fairytale prince … although I have felt their presence. Princes and knights and superheros DO have a different energy to fairies and princesses. Doesn’t mean our children can’t make their own interpretations and representations. It’s OUR interpretations that do the damage, I think. I don’t mean to pay out on Disney because we do enjoy many of their movies, but they do now have the image of being the big bad wolf when it comes to perpetuating inappropriate gender stereotypes these days … and I must say that I prefer the original versions of traditional fairy tales to the movie versions. I enjoy an animated movie as much as the rest of us, but I do think that as soon as you animate stories, you begin to lose the quality of dreamy imagination and embodiment that comes when we listen to and play out our favourite characters. Once they are animated that image of the character, plus their voice, behaviour and role then becomes fixed and if the children have enjoyed the movie then they want to be like their favourite characters. And Disney (and many other companies and manufacturers) are happy to perpetuate stereotypes through mass merchandise, which children want because they love to surround themselves with reminders of their heros. It’s something I curse each time I go to buy my children pyjamas. 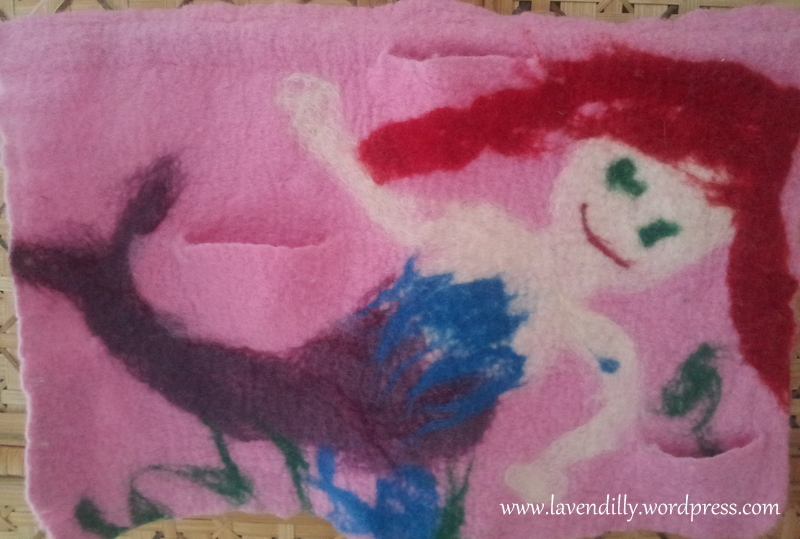 My daughter made this gorgeous felt wallhanging when she was four. Guess which movie she had seen just before she chose her colours? And if we are going to be critical even the traditional fairy tales themselves, before they were ever animated, tend to lean towards rather gender-specific roles that many parents object to. During my uni years my fellow student teachers and I looked for modern versions of traditional tales to tell our students so as not to perpetuate the idea of gender bias. “The Paperbag Princess” by Robert Munsch was a popular one at the time (and I still love it). We’d bend over backwards to be inclusive and encourage children to bust gender stereotypes. I’ve said all that so you know where I’m at with stereotypes, media and play, because once I became a parent, despite my best efforts not to go there (and even with all our gender-neutral, non-violent, natural and handmade toys), our little boy loved building, climbing, playing with trucks and shooting guns. And our girls LOVE being princesses and faeries! 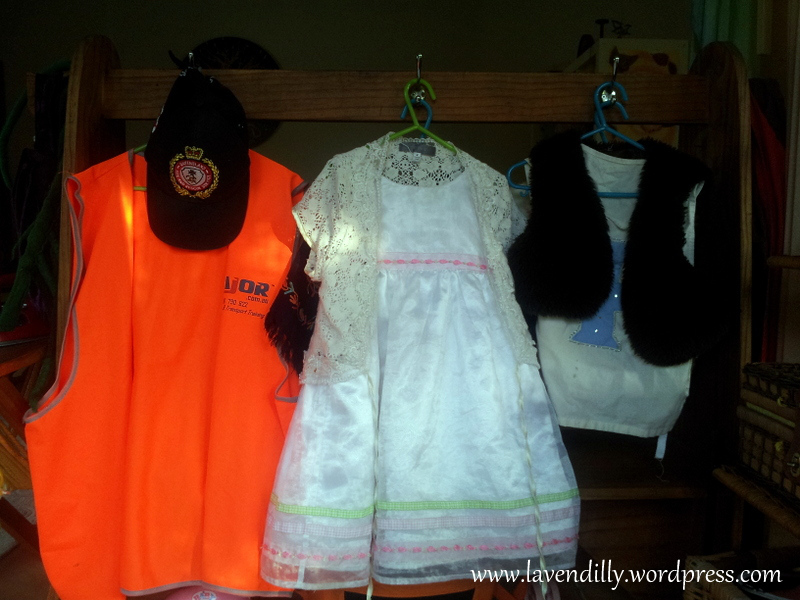 I don’t quite remember when the fairy and princess dresses arrived in our house. I have bought only one that I can think of, and yet since we’ve had both our girls there seems to be an endless supply of fluffy, frilly bunches of tulle and cheap satin in our playroom. I’ve culled the collection a few times but I’m pretty sure the princess and fairy dresses self-propagate from torn pieces of tulle at night time. When my girls play princesses and faeries they don’t feel helpless – they FEEL beautiful, powerful and important and very special. I remember that feeling when playing as a child, and letting it fill me up. I don’t have a problem with them playing princesses if it helps them access these feelings! 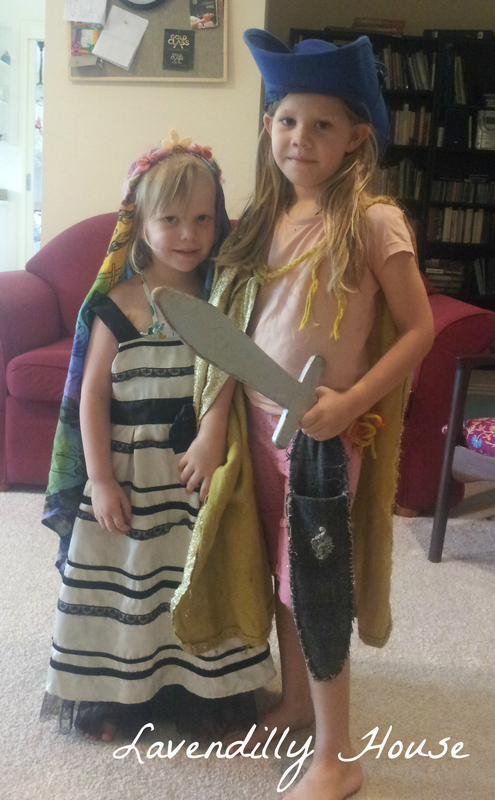 Today my girls began playing princesses and then one decided to be a knight instead. Off went the dress and on went the sword belt and cape, and a new persona emerged: confident, protective, bold, brave, decisive. She can do it all. I don’t think that they are going to be limited in their career options because they play princesses. 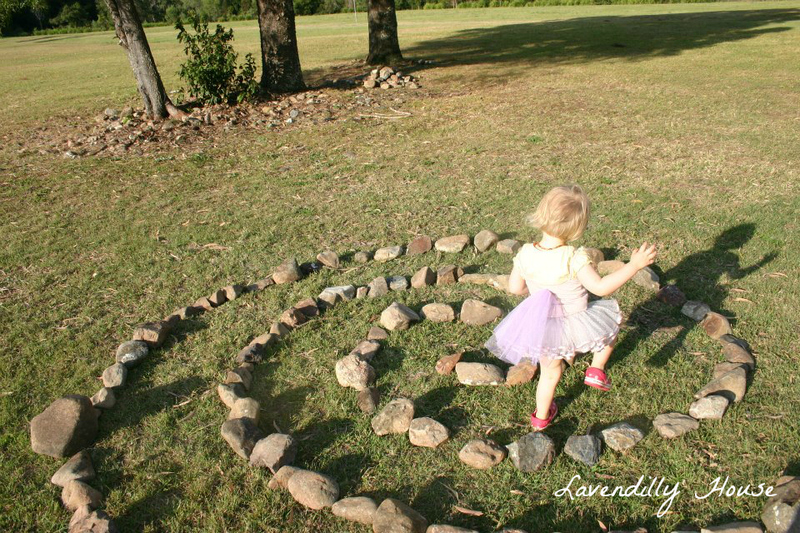 I’m pretty sure they are not going to grow up with antiquated ideas about what girls can and cannot (or should and should not) do because they are surrounded in enough positive energy at home and at school to feel good about themselves. They also have enough positive role models in our community to let them know anything is possible. It’s all in being open to possibility I think. If my children grow up feeling open to possibilities I will be very happy.